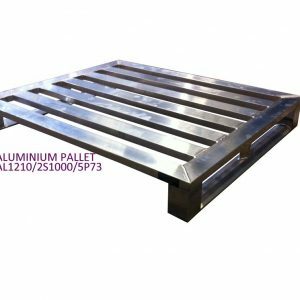 Aluminium pallets made to order any size and quantity. Four way entry pallet shown here with skids on two sides and free entry on the remaining sides. 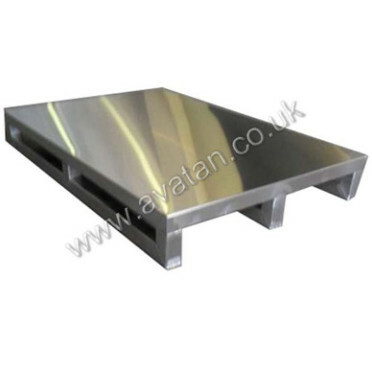 Manufactured from aluminium extruded double hollow section with chamfered section skids. 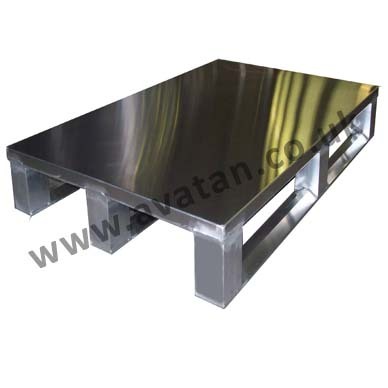 Overlaid with a 2mm thick aluminium sheet top. 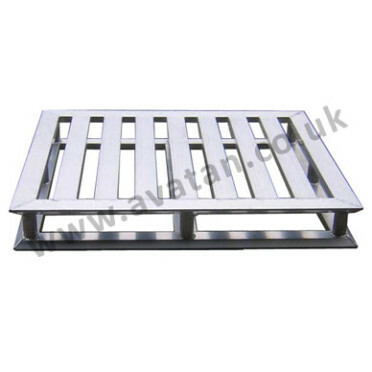 These extremely light but strong pallets can be easily handled by individuals. 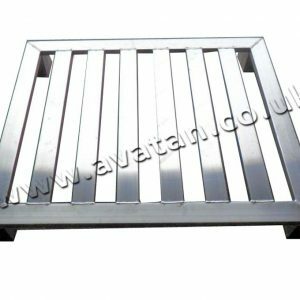 A 1200mm x 1000mm pallet may weigh as little as 20kg with the sheeted top shown. Note: Although easily cleaned, this may not be suitable for some areas where hygiene is paramount as there is a small gap between the sheet deck and its substructure.